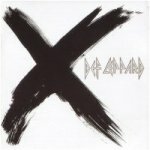 Def Leppard played a show on the X/Ten tour in Detroit, MI on 23rd July 2003 and a fan review was sent in by Dan. The show took place at the DTE Energy Music Theatre. Three other fan reviews are available from this show. "The show reached a crescendo with 'PSSOM' I think all 10,000+ in attendance sang every single word LOUD. There was certainly the feeling they had just brought the house down and Joe sort of stopped and walked around the stage a bit seeming to drink in the moment a little. He stopped and said "Sh--, I can't believe it" and just looked around the crowd for a bit as if checking to see for himself."